Saracens director of rugby Mark McCall has signed a contract extension that will keep him with the English Premiership club until 2022. 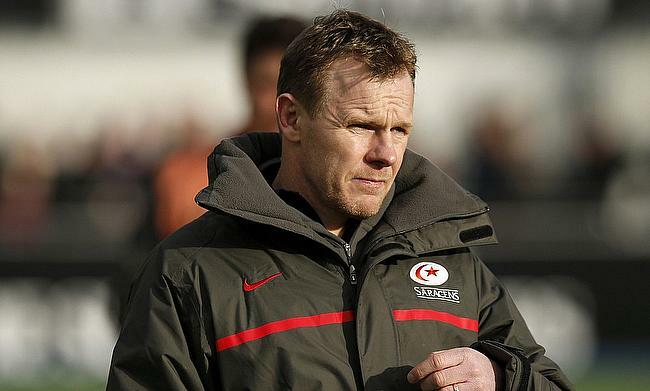 The 51-year-old, who had short stints with Ulster, Castres and Ireland A sides before taking in charge as Director of Rugby with Saracens in the 2010/11 season has helped the Allianz Park outfit to four Premiership titles including the 2017/18 season along with two European Cup triumphs. His contract originally ends in 2019 but has further extended it by another three years, thereby ruling out chances of any immediate international coaching assignment. Apart from McCall, other Saracens coaches Phil Morrow, Alex Sanderson, Kevin Sorrell, Joe Shaw, Ian Peel and Dan Vickers have also agreed on new deals. Club chairman Nigel Wray is excited to have retained a successful set of coaching panel, who helped the club complete their fourth Premiership title when they defeated Exeter in the final. "It's great news that they have all re-signed," said Wray.